Milwaukee Police Chief Alfonso Morales said at a recent forum that he plans to implement policing strategies that rely on trust between police and residents, but did not address concerns about excessive use of force that threaten that trust. 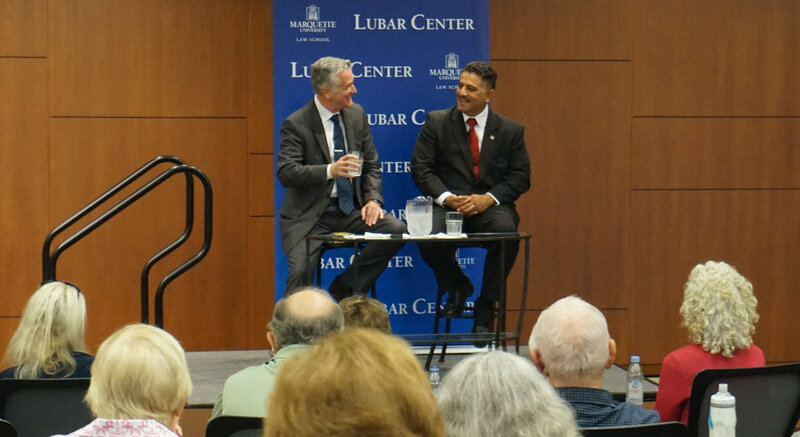 Speaking to about 100 people at Marquette University, Morales took questions for an hour from “On the Issues” host Mike Gousha and audience members. The program was sponsored by the Lubar Center for Public Policy Research and Civic Education. Morales said that MPD’s current style of policing, in which the department puts “our officers in dense areas to conduct random stops” is not successful. “We need to find other ways to police [those areas]. If we are going to police the Center Street corridor because it is a hub of crime, we can’t do it ourselves. We need [help from] community organizations who are invested in the area,” said Morales. Morales said community-oriented policing means having officers in a neighborhood who know residents by name. “We talk about beats, but do the officers in those beats know the people in the neighborhood?” he asked. During the question-and-answer session, audience member Frank Daley, a retired trial attorney, asked Morales what MPD could do to prevent police from shooting civilians and whether the department would take a public stand against these kinds of shootings. Morales said that MPD is developing a plan to institute community briefings to publicly share video footage and other information within 45 days of every critical incident involving an officer. In an interview after the event, Daley said that sharing information plays a role in preventing police shootings, but added that he had hoped to hear details about how MPD trains officers to avoid using their guns. “What do you do to prevent getting in a situation where you have to present a videotape of someone getting shot by the police?” Daley asked. “He’s also got to support his men and can’t just say, ‘I’m going to be there to punish all these cops.’ He’s got a delicate balance in trying to discipline the bad guys but also keep cheerleading for the good ones,” Daley added. Audience member Jamaal Smith, racial justice community manager of the YWCA of Southeast Wisconsin, asked Morales about MPD’s strategies for addressing police brutality. “Will there be some financial penalties on police officers who may be found guilty?” Smith asked. Morales said that what Smith called “police brutality” is officially referred to as “excessive use of force” in MPD policies. He added that body cameras can aid investigations into use of force. During these investigations, an independent board assesses whether the officer was acting within MPD’s policies and training; if he or she had adequate supervision; and if there were issues with equipment during the incident, Morales said. 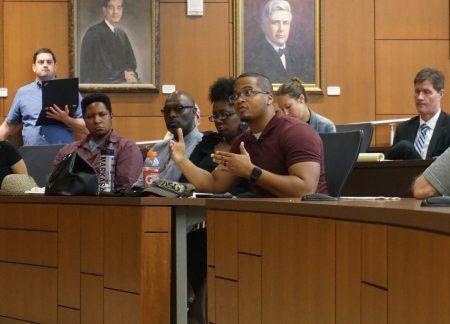 “I didn’t really get an answer as far as what would be some of the disciplinary policies [implemented] once an officer is found guilty of excessive use of force,” Smith said after the presentation. He added that he would have liked to hear more about financial consequences for offending police officers. 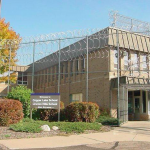 “The city of Milwaukee’s taxpayers are always put on the hook with paying settlements. Is there going to be a change where [the officer] becomes responsible for having to pay out — maybe through a liability insurance policy?” Smith asked. Morales told the audience that police officer Erik Andrade had been terminated after an incident in which Milwaukee Bucks player Sterling Brown was harassed, arrested and tased by six officers for illegally parking in a Walgreens parking lot in January. Brown has filed a civil lawsuit against Morales, MPD and the city of Milwaukee. Andrade, who was one of two officers at the scene who were not directly involved, was fired for racist images and mocking statements that he posted on social media. Morales said he was concerned that Andrade’s comments on social media would tarnish his credibility if he were to testify in court. Morales suspended three of the six officers involved in the arrest. Gousha also asked Morales about police response times. 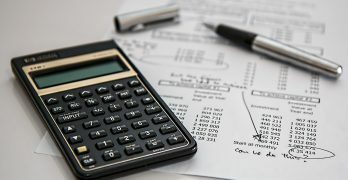 An analysis of police data by Milwaukee Neighborhood News Service found that response times for violent crimes including armed robbery and reckless use of a weapon average from 26 to 74 minutes. Response times for nonviolent crimes average more than 40 minutes, though in some cases are much longer. The average response time for a stolen vehicle is 68 minutes. Morales said that more officers on every beat would help reduce response times and lessen tensions between police and civilians. What is needed is an online website where people can easily and quickly report aberrant behavior like people walking thru their back yards, the theft of small items from back yards or off porches, people checking house or car doors, people loitering, etc. This kind of reporting, could be anonymous, could be a check off list making it quick and simple to report. And this wouldnt tie up police officers or require long waits for police which dissuades people from reporting. People are reluctant to report or “get involved” if it means neighbors will see police cars and police at their doors. Aberrant behavior may not mean anything, but a website that maps incidents could build up a picture of activity that may be related to criminal activity, time of day when occurring and direction of activity. It means there are hundreds of eyes watching out for the neighborhood and being able to do something without fear of being labeled.